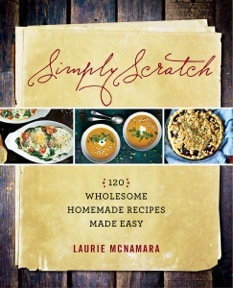 Laurie McNamara has brought us her favorite made-from-scratch recipes in the aptly named Simply Scratch. 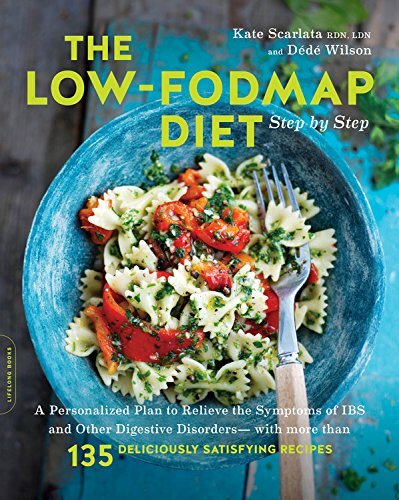 She wasn’t always this way…she recounts her years of processed and canned foods but saw the light. Not only is cooking and baking from scratch more economical and healthy – it can be downright enjoyable! This Glazed Butter Rum Cake is easy, beautiful and feeds many. Even if you do not consider yourself a baker, you can make this cake. You will definitely impress your friends and might even surprise yourself. Also check out her Vanilla Bean Ice Cream, which will come in very handy this time of year to go alongside, well, everything! If you like this cake, check out our CRAFTSY class on similar homestyle cakes (discounted through the link above). Excerpted with permission from Avery, a member of Penguin Group, a Penguin Random House Company. Simply Scratch, Copyright 2015 Laurie McNamara. This cake. 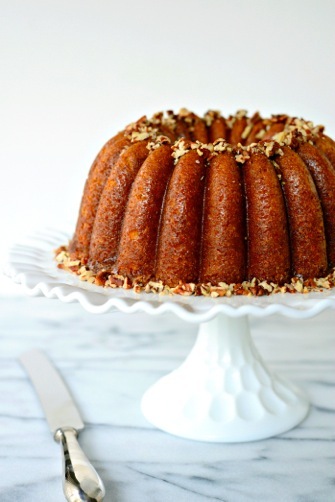 It’s everything I love wrapped into one beautiful Bundt-tastic beauty. And the sprinkling of toasted chopped pecans sends it into heavenly oblivion. What I love most about this cake is the glaze. It’s just a light glaze made up of a simple syrup, rum, butter, and vanilla. It truly is something magical (and ridiculously simple). To make the cake: Preheat the oven to 325ºF. Generously butter and lightly flour a 10-cup Bundt pan. Tap the pan to remove any excess flour. In the bowl of a stand mixer fitted with the paddle attachment, beat together the butter and sugar on medium-low speed until light, fluff y, and pale in color. With the mixer on low, gradually add the eggs one at a time, mixing after each addition. Combine the buttermilk, rum, and vanilla. Alternate adding the flour mixture and the buttermilk mixture, starting and ending with the flour mixture, and mix until just combined. Do not overmix. Spoon the batter into the prepared pan and bake on the center rack for 1 hour, or until a tester inserted into the center comes out with only a few crumbs. To make the glaze: Five minutes before the cake is finished baking, in a medium saucepan, combine the sugar and 1⁄2 cup water and heat until the sugar has dissolved. Remove and stir in the rum, butter, and vanilla. With the cake still in the pan, use a skewer to poke holes in the warm cake and spoon half the glaze over the top. Let the cake cool for 25 to 30 minutes before carefully inverting it onto a wire rack. 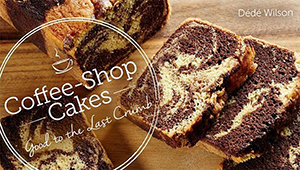 Once completely cooled, reheat the glaze and use a pastry brush to brush the glaze over the cake until no glaze remains. Sprinkle with the pecans. Let the glaze harden before cutting and serving. 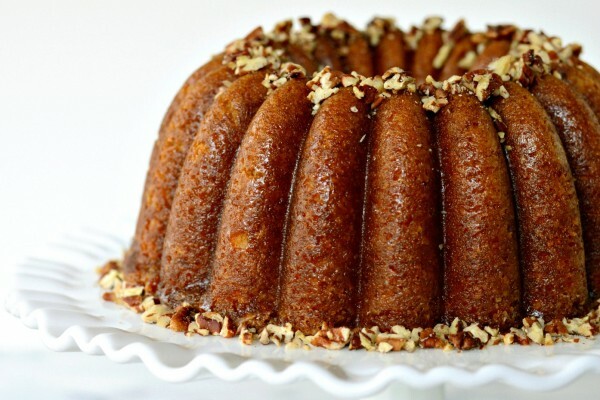 SIMPLY SCRATCH TIP: The best method I’ve found to get the cake to slide right out of the Bundt pan is to give the pan a good coating with butter and a dusting of flour before pouring in the batter. I put 11⁄2 tablespoons butter into a clean, dry pan and use a paper towel to smear it into all the nooks and crannies. Then I add 1 tablespoon flour and tip the pan until it has a light coating (tap out any excess). I’ve tried nonstick sprays, and they can pool in the bottom of the pan and absorb the flour, which gives the finished cake flour/spray blotches. So not pretty.